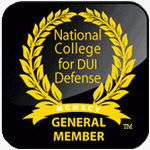 The more you know, the better equipped you are for your DUI case & your DUI defense. Morell Law Office is here to help you every step along the way. 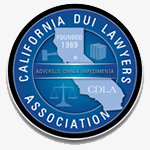 If you are facing DUI charges in the Bay Area, it is best to work with an experienced and local Attorney. Amy Morell has practiced law both as a prosecutor and defense lawyer, exclusively in the practice of DUI. 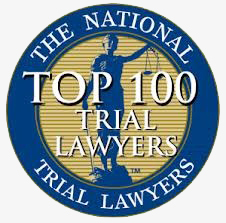 She has devoted her law practice to defending those who have been accused of DUI crimes in the San Francisco Bay Area and surrounding areas. She is familiar with the courts, process and those involved. Along with regular training, Amy keeps on top of the latest changes in both law and the technology associated with Sobriety Field Testing and other related tests such as Blood Alcohol Content testing (BAC) and more. The following list of frequently asked questions are designed to inform you and best equip you for your first consultation and defending your DUI case. Need to speak to a DUI Lawyer now? Call or Email Amy Today! 1. Did the officer conduct a lawful stop? There are many defenses to these "cues." We address these possible defenses during your consultation. The answer to this important question is: it depends. After you meet with Amy Morell, she will be able to tell you the answer to the question given the facts of your case. Refusal can add an additional 48 hours confinement in jail if plead and proven. With an under 14-year-old passenger, additional 48 continuous hours jail time, unless convicted of Penal Code Section 273(a). If driving privilege suspended, no return of driving privilege until DUI program is done. 96 hours to 6 months jail, at least 48 hours of which must be continuous. 3. I feel guilty, does that mean I'm guilty? Your feelings of guilt have nothing to do with the prosecutor's ability to PROVE the State's case. Amy Morell will fully and personally investigate your DUI case, including using the powers of a subpoena to obtain all necessary records from machines used. She will investigate the machines used for breath, blood or urine testing. She will consult with Forensic Toxicologists, utilize her private investigator, and consulting with accident reconstruction experts. She will then discuss with you the available defenses in your case and your options. 4. This has never happened to me before and I'm scared, should I hire an attorney or represent myself? Amy Morell advises that you should not represent yourself. DUI is a very complex area of law. Criminal Defense attorneys that handle murder cases often times state that DUIs are far more complex due to their scientific complexities. DUI defense involves knowledge of complicated science issues from how breath machines actually work to what type of device was used to test blood samples. Court procedures are difficult to understand unless you are familiar with criminal procedure laws. Penalties for DUI are becoming harsher and harsher and this is why you need a DUI Attorney on your side, to help you through this difficult process. 5. What is going to happen to my car insurance premiums? After you are arrested you are given a pink piece of paper that has a lot of legal jargon. This paper is your temporary license for 30 days. Remember, a DMV hearing must be requested within 10 CALENDAR DAYS of arrest, or your license will automatically be suspended. You have absolutely nothing to lose by requesting and obtaining a DMV hearing - only something to gain. If we win the hearing for you, your license will not be suspended by the DMV action and no additional insurance will be required from the DMV hearing action - no expensive SR-22 Form. But, remember the court outcome is just as important in saving your licenses and potential insurance increases. We will work to try to minimize any insurance increases. 6. Will my license be suspended? After you were arrested or detained, you were most likely given a pink piece of paper and your California driver's license taken by the police officer. That pink piece of paper is your temporary driver's license. CAUTION: you must request a DMV hearing within 10 days of the date of your arrest. Our office can help you with this. We know the numbers to call to talk to an actual human being at the DMV - not a recording, which is what you will hear if you call the number at the top right on the pink piece of paper. Your license could be suspended. However, there are many defenses to DMV hearings and that is why you need to talk with a DUI lawyer. If the hearing is won, you may suffer no suspension at all. 7. How much will this cost? This question is difficult to answer because each case is different and require different amounts of time to effectively defend. We charge a "flat fee." This means that we do not charge hourly. 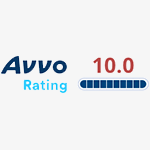 We quote you a fee for service that typically includes court appearances and the DMV hearing. Please do not hesitate to call so that we can meet with you and give you a quote for your case. We also accept all major credit cards. 8. Can I get my criminal record expunged? After a conviction of a crime, you may be able to have your criminal record cleared. This is usually referred to as an "expungement." Having your record expunged will depend on the specifics of your case. Please contact the Bay Area DUI Attorney Amy Morell to review your case. Facing DUI or Drunk Driving Charges in California?